Many people living in Berlin manage with very little German. However it pays off to learn the language, especially if you want to live here for longer and start business. 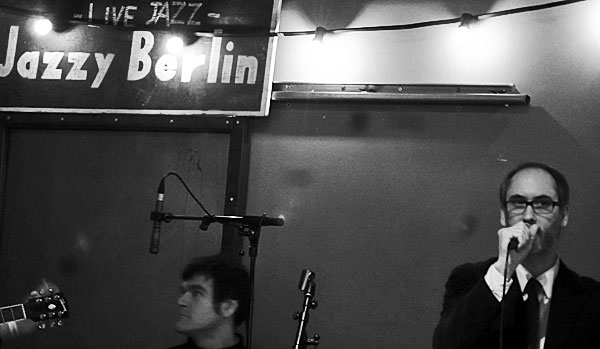 Also most owners of Jazz clubs in Berlin will prefer to correspond with you in German. There are many ways how to become a master. You have to consider that there are good teachers and bad teachers. One of the best language teachers can be found at the universities but it is not the cheapest option (3 weeks intensive course costs €400). Good language courses are also offered at the city community colleges which are called Volkshochschule (usually you pay around €177 per month). There is also Goethe Institute which is the most famous language school but in this case you have to bear in mind the very high price (4 hours a day for one month can cost you more than €1000). If you have valuable information for the guide please share it.